Fishery scientists are expecting a record low return of fall-run Chinook salmon to the Klamath River this year, due to a combination of several years of drought, water diversions in the Klamath Basin and to the Sacramento River and the continued presence of the PacifiCorp dams. Tribal, commercial and recreational fishermen are currently waiting for the decision by the Pacific Fishery Management Council (PFMC) on the fishing seasons at its meeting in Sacramento on Monday, April 10, but the outlook is dismal, based on the low Klamath salmon estimates. The pre-season numbers released by Michael O’Farrell of the National Marine Fisheries Service in March estimate only 54,200 Klamath River fall Chinook adults and 230,700 Sacramento River fall Chinook adults will be in the ocean this year. Commercial fishermen and families and sport anglers are facing an “unmitigated disaster” in the Klamath Management Zone (KMZ) of the ocean extending from Humbug Mountain, Oregon to Horse Mountain, California, according to Noah Oppenheim, Executive Director of the Pacific Coast Federation of Fishermen’s Associations. This disaster takes place as Governor Jerry Brown continues to move forward with a Delta Tunnels project that will not only hasten the extinction of Sacramento River Chinook salmon, Central Valley steelhead, Delta and longfin smelt and green sturgeon, but will further imperil the salmon and steelhead fisheries of the Klamath and Trinity rivers. Due to the poor status of Klamath River fall Chinook this year, none of the three alternatives proposed by the Council provide for any Chinook–directed fisheries in the Klamath Management Zone, although one alternative does include a mark-selective coho fishery in the Oregon portion of the zone and extending north to Cape Falcon. “Even if Klamath stocks were healthier, we would likely see fishing restrictions due to below average returns to California’s Central Valley. Salmon, the West’s original water users, are paying the highest price for this tragic water management failure,” stated Oppenheim. 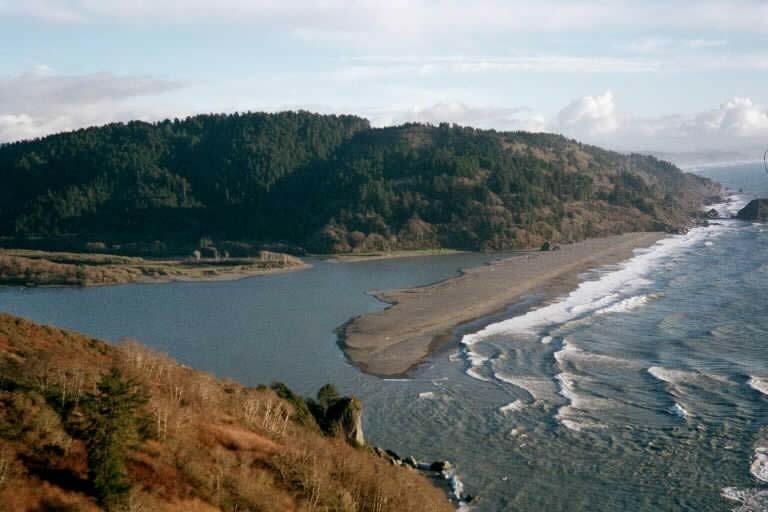 For the Yurok Tribe, who have fished the Klamath for thousands of years, the looming closure will be also be an “unprecedented disaster,” according to Amy Cordalis, the Tribe’s General Counsel, a Yurok Tribe member and fisherwoman. Her family lives and fishes in Requa at the mouth of the Klamath River. “Since time immemorial we have practiced a fishing way of life. We have never ever relocated, but we are still on our river and continue our fisheries way of life,” she stated. The Tribe will have no commercial fishing season this year, a fishery that many tribal members depend on for their income. And the subsistence allocation is 650 fish, the lowest allocation ever. Cordallis said this year’s fishery failure is the result of “200 years of water development and consumptive use in the Klamath Basin,” noting that the PacifCorp dams were built without fish ladders. The dams also cause poor water quality, spurring big toxic blue algae blooms and creating warm water conditions that allow fish diseases to spread. Although the outlook for 2017 is grim, Tribal, commercial and recreational fishermen say they have some cause for optimism, due to the current efforts to restore the river and the heavy snow and rain that fell in the Klamath and Trinity watersheds this season. Water managers are currently developing a plan to increase river flows to mitigate for fish disease outbreaks. This plan is the result of successful lawsuits by the Hoopa Valley Tribe and the Yurok Tribe, PCFFA, the Klamath Riverkeeper and Earthjustice. On February 8, a U.S. District Court judge ordered federal agencies to immediately take steps to protect juvenile coho salmon after several years of deadly disease outbreaks in the Klamath River. Klamath River coho salmon are listed as threatened species under the federal Endangered Species Act. The Hoopa Valley Tribe, who initiated the lawsuit, lauded the decision challenging the government’s inaction during two years of high disease rates and poor adult salmon returns. The Hoopa Valley Tribe will also be greatly impacted by the looming salmon season restrictions, particularly during their biannual white deer skin dance and world renewal ceremonies that will begin in August, according to Mike Orcutt, the Tribe’s Fisheries Director. Tucker also said Warren Buffett’s Berkshire Energy, operating as PacifiCorp, has proposed “an ambitious plan” to remove the lower four Klamath River Dams, “a product of years of negotiations with basin stakeholders along with state and federal agencies." Many consider this the largest salmon restoration project in history. Tribal fishery biologists said the high, flushing flows this year point to more promising salmon runs in future years. Mike Belchick, Yurok fishery biologist, said the trouble with the fishery we’re now seeing is largely the result of the disease problem the juvenile salmon migrating out of the river and its tributaries encountered in 2014 and 2015. Cordallis called on the entire nation to join the Yurok Tribe in supporting the restoration of the Klamath — and emphasized that this year’s salmon collapse impacts people throughout the Klamath watershed and in coastal communities through Oregon and California. She said she is more hopeful than ever over dam removal, scheduled to occur in 2020. “According to the agreement, environmentalists, Tribes and fishermen will facilitate dam removal by going through the FERC process. I am so encouraged to have all the partners committed to dam removal now," she said. Cordalis also said that river advocates must review and update the “whole set of laws" that determine how the operations system on the river is managed. She pointed out the need for comprehensive river management on an ecosystem basis. Leaf Hillman, Natural Resources Director for the Karuk Tribe, said PacifiCorp’s dam removal plan gives him hope for the future. Tucker said the dam removal plan requires no federal spending. PacifiCorp is contributing $200 million and California has committed up to $250 million in additional funds as needed. The Tribes and anglers are hopeful that the Trump administration will support dam removal, as did both the Bush and Obama administrations. The dam removal proposal is now awaiting approval from the Federal Energy Regulatory Commission (FERC). A 2012 Environmental Impact Statement and other studies have concluded that Klamath dam removal is safe and will dramatically benefit Klamath fisheries and water quality, according to Tucker. Meanwhile, Oppenheim said commercial fishermen, along with Tribes, are working with state and federal agencies to take all of the steps necessary for securing disaster relief. Recreational anglers and charter boat skippers, particularly in the Klamath Management Zone, will also be impacted by the looming closures. No Comment to " Record low Klamath salmon run spurs Tribal, commercial and sport fishery closures "